The panglobal resurgence in malaria and the renewed commitment of WHO to efforts to control the disease, carried by "The Most Dangerous Animal on Earth", lead me to offer this brief history of how near-success in controlling the disease lapsed because of a combination of technical, and, more importantly, management failures. I hope that those involved in the renewed efforts, and those with a more general interest in disease epidemiology and entomology of vectors, will find my hands-on experiences useful and thought-provoking. 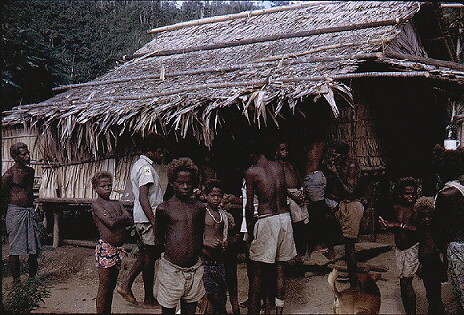 "In 1962, before any DDT house-spraying, the malaria parasite rate in blood-films from adult Melanesians was around 30%. By the early 1970's the case rate was no more than 17.5/1000 per annum; but by 1983 this had risen to some 340/1000." In late 1969, I arrived in Honiara, the capital city, at the start of expansion of operations from a "Malaria Pre-Eradication Programme" restricted to the major island of Guadalcanal and the island group, collectively known as New Georgia, to a full national programme which, within four years was to cover all the inhabited areas. Apart from a WHO-employed Entomologist who had occupied himself primarily with the developing of technician expertise and the production of laboratory handbooks, there had been no prior full-time professional entomologist. Field activities had been of a somewhat limited nature, including some survey work and the setting up of a set of "experimental" huts for use in assessing vector efficiency and their entry into huts. The work was mostly on Guadalcanal, which had been under full spray coverage since May 1963. 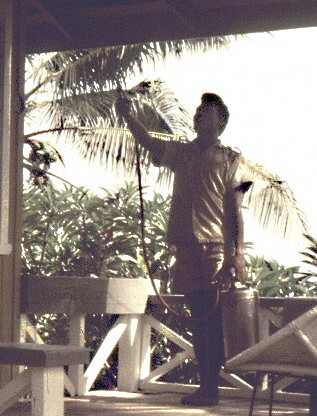 The cyclical spraying operations (CSO) aimed to achieve 100% coverage of all interior surfaces of any structure within which a person might sleep, such structures varied from permanent western-style houses, through the predominantly timber and sago-palm leaf thatch village houses, to the so-called "garden houses" (also of timber and thatch) which were slept in only occasionally. The spraying was with 2.0 g of technical DDT/m², using a Wettable Powder suspension, which was both economic and safe (to the operatives and the environment) when used solely as an interior spray. The full spray operation was repeated at six-monthly intervals, with "remedial" spraying operatives visiting villages to ensure any new or repaired structures were sprayed (Follow-Up Spraying or FUS). In Zones 1 to 5 (North Guadalcanal) a system of "Interval Spraying" was started in mid-1971 but this only covered surfaces below two metres. (a) Efficient vector surveys of as many areas as possible ahead of the expanding CSO work. The findings of these, and of the earlier surveys of the islands of the Western District and of Guadalcanal, were documented in my 1975 paper (Taylor, 1975a,see below). (b) A detailed investigation of the low-level continuation of malaria transmission, especially on Guadalcanal, despite apparently efficient CSO activities. A strong belief, indeed almost dogma, at that time (1969) was that such "transmission" might well represent detection of cases due to migrant labourers coming to Guadalcanal from non-sprayed islands. In addition to my knowledge of mosquitoes and their behaviour, I gained much from a course in the Advanced Epidemiology of Malaria, held at the WHO Malaria Training Center in Manila, Philippines, in May-June 1970. For over four months in late 1970-early 1971, while the overall manager of the MEP was on home leave, I effectively ran the whole programme, covering not only his post responsibilities but also those of the absent Chief Field Operations Officer and the vacant post of Senior Executive Officer. During that time, I completed the draft of the 1970-75 operational agreement between the BSIP and WHO, initiated a Epidemiology Case Investigation Procedure, and stimulated a fresh look at the CSO schedule. The last was arranged so as to complete each spray cycle within five months, leaving a one month buffer period to allow for any delays due to external factors (such as adverse weather conditions). After my own home leave in 1971-2, I was given the added responsibilities for the day-to-day monitoring of epidemiological activities and for induction and in-service training courses. The writings on the linked pages, with one exception (the discussion paper), were produced as working papers for the monthly meetings of the internal "Malaria Technical Operations Committee" (MTOC) or for MEP internal information purposes. Although some of the content was used in my formal publications (see below), much has never before been placed in the public domain. Read in chronological order, they illustrate how problems were identified and my suggestions as to action to counter those problems. Some, notably the apparent changes in vector behaviour and in the patterns of human activity, were technical but others, notably the quality and efficiency of the spraying and epidemiological operations, were practical. Apart from minor editorial changes made solely to clarify acronyms and other technical terms, and improvement to the graphics, the papers are as they were written in the early 1970's. All my reviews were based on sound evidence and good information-gathering and were motivated by the demands of the target of eradication of a truly life-threatening disease. By definition, this meant that the MEP had to achieve operational perfection in order to both interrupt transmission and detect residual infections. Sadly, as may be obvious, my examination of the failings in the programme's operational elements, were not well received. Worse, at least initially, several of my recommendations were ignored. Despite the obvious need for operational perfection, key Officers in the Medical Department and the MEP reacted badly to what were constructive criticisms offered in team-spirit and this led to my leaving the Solomons. The MEP was left without an entomologist and, so, the campaign reverted to its state of being unable to adequately monitor and analyse a key element of its efforts. the volume of work involved in the delineation of the farauti behaviour change. The core of the effort was 97 separate all-night man-biting catches by a team of three collectors and a supervisor, plus my own monitoring visits. The study ran continuously from June 1971 to April 1973 and a total of over 5,000 man-hours was invested. A standard WHO type DDT susceptibility test can reveal insecticide-resistance from no more than a few hours of work. In recent years, staff at the University of Queensland, Australia, led by Professor Joan Bryan, have undertaken fresh investigations on the Anopheles punctulatus complex in New Guinea, the Solomons and Vanuatu. Summaries of the work can be found on the Introduction to their web site, with list of contents indexed. The reports on malaria on Savo Island and in Honiara are particularly relevant; as are the doctoral theses of Nigel Beebe and Des Foley. Schmidt et al. (2001a, 2001b); Beebe et al. (2000b). E.R. Schmidt, D.H. Foley, H. Bugoro and J.H. Bryan (2003) A morphological study of the Anopheles punctulatus group (Diptera: Culicidae) in the Solomon Islands, with a description of Anopheles (Cellia) irenicus Schmidt, sp.n. Bulletin of Entomological Research, 93, 515-526. Abstract - A description of Anopheles (Cellia) irenicus Schmidt, sp.n. (formerly A. farauti No. 7) is provided. This species is one of six recorded from the Solomon Islands within the A. punctulatus group, which contains the major vectors of the causative agents of malaria and lymphatic filariasis in the southwest Pacific. Morphological markers are described for adult females, fourth-instar larvae and pupae that identify most specimens of A. irenicus. Keys are presented to distinguish members of the A. punctulatus group in the Solomon Islands. It is sad to read that the malaria incidence remains so high, albeit with less falciparum than before the years of the Malaria Eradication Programme, but, on a personal level, it is pleasing that my interpretation of the "species" complexity has been borne out by the molecular differentiation studies. Ironically, the Savo and Honiara reports say nothing that we did not establish some thirty years ago and no solutions are offered that we were not attempting at that time. It was amusing to read that the quite short survey work in Honiara was recognised by the award of a prize. What honour might our long-term study on San Cristobal attract in today's world? Finally, the modern trend in the media reporting of "malaria" is to write as if Plasmodium falciparum was the sole species of the human parasite. Whilst it is true that only falciparum is truly life-threatening, the other three species vivax, malariae and ovale (not found in the Solomons) all affect their hosts. Plasmodium vivax in particular can lead to repeated relapses and genuinely affect the life and economic activity of the sufferer. Leaving aside the problem of drug resistance, which now causes problems with the treatment of falciparum in many countries, these other species are much more difficult to treat when it comes to clearing out the recrudescent stages, which remain in the liver and are undetectable until some other physical state provides physiological conditions favourable for a relapse. Exophily of Anopheles farauti as a possible problem in the B.S.I.P - October 1971. This Conference Paper outlined the background of the continuing transmission of malaria and my early thoughts on how we should proceed. Deterrent Effect of DDT - November 1972. The first report arising from the long-term study on San Cristobal. Operational Failures In Cyclical Spraying Operations - The Consequences - January 1973. This outlined where the inadequacies in management were starting to reveal themselves by way of minor epidemics of malaria. The failure to ensure adequate supplies of DDT is mentioned but another was that the scheduling of spraying over a five-month operational period, as mentioned above, had been dropped, without consultation, in favour of the old six-month period. The outcome was that adverse weather conditions had disrupted the field work which, in a country with had very few roads of any sort, was so highly dependent on sea travel. The Timing of Spraying Operations - San Cristobal, Zone 94, East Bauro - January 1973. This was an attempt to bring entomological evidence into play when planning insecticide applications. A Study of a Malaria Epidemic - Guadalcanal Weather Coast - February 1973. Written as a training document for supervisory staff, ths outlined further evidence of the effect of poorly managed or disrupted spraying operations and of the difficulty in ensuring that the full 12-week course of drugs to eliminate Plasmodium vivax from the patient was completed. Surveillance Operations on Choiseul, 1972 - an Analysis - January 1973. The was the first in-depth use of epidemiological data to evaluate the efficiency of the Surveillance Operations in detecting and managing the relatively low-level of ongoing malaria transmission. Tour of Choiseul and Shortlands - March 15-23, 1973 - March 1973. Largely narrative but with some update on the previous analysis and an illustration of the problem of trans-border importation of malaria from Bougainville. 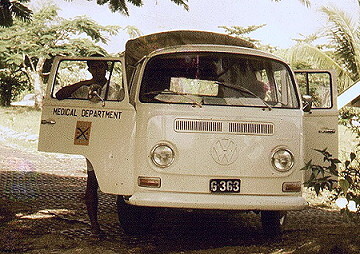 Malaria Foci on Choiseul - March 1973. An update on the earlier analysis. Revision of Spraying Policy - March 1973. Shows my advice on how to counter the decline in deterrent effect of the DDT, which really seemed to be just as important for the interruption of transmission as the lethal effects of the chemical. This advice finally was accepted, ironically in fact of the refusal to accept my earlier recommendation on the San Cristobal spraying (see above). It serves also to highlight the lack of foresight in launching the Pilot Project without proper investigation of the vector behaviour before spraying and the inadequate monitoring for several years thereafter. Taylor, B. 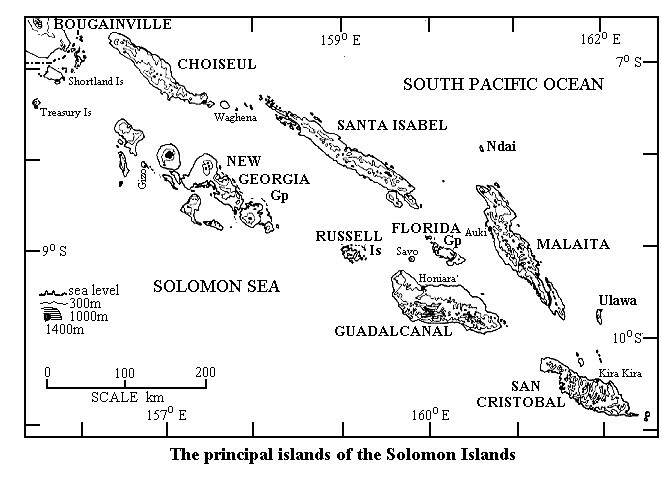 (1975a) Observations on malaria vectors of the Anopheles punctulatus complex in the British Solomon Islands Protectorate. Journal of Medical Entomology, 11, 677-687 - . Taylor, B. (1975b) Changes in the feeding behaviour of a malaria vector, Anopheles farauti Lav., following use of DDT as a residual spray in houses in the British Solomon Islands Protectorate. Transactions of the Royal Entomological Society of London, 127, 277-292 - .